Wheat plays a predominating role in the diets of most people. Cereal for breakfast, sandwiches for lunch, pasta for dinner, with pretzels, cookies, and cakes serving as snacks, make for a pretty wheat-packed day. When the tricky, but an effective low-FODMAP diet for IBS was first introduced to the world, all products containing wheat needed to be avoided during the initial elimination phase of the diet. For a person eating a typical Western diet, this restriction would certainly seem very daunting. However, new findings may have just made the diet a bit more do-able. 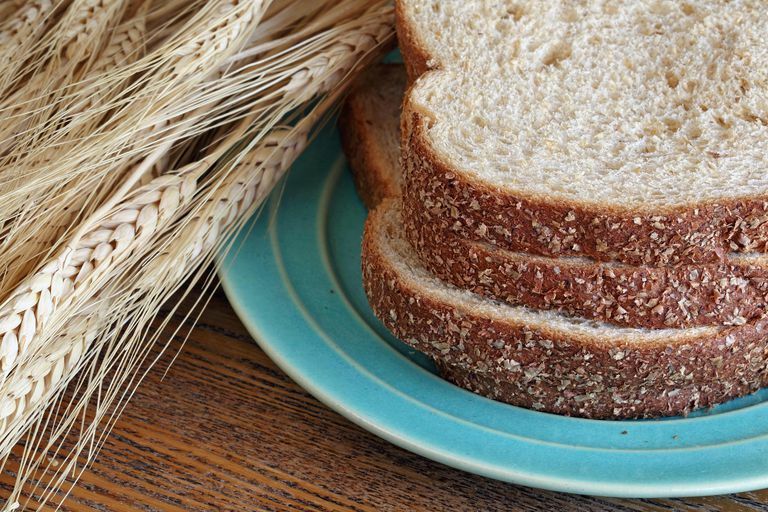 Let's take a look at how wheat figures into a low-FODMAP diet. While many people believe that the protein gluten in wheat is a problem for people who have IBS, the FODMAP researchers from Monash University identified a different component of wheat as the culprit — the carbohydrate known as fructan. Because fructan is a plant component that is not digested (meaning that it is not broken down in the small intestine and absorbed into our bloodstreams), it makes its way into the large intestine where it is acted upon by gut bacteria. This interaction creates fermentation of the carbohydrate, resulting in intestinal gas that can result in the abdominal pain and motility (diarrhea/constipation) problems of IBS. Due to this effect of eating foods containing fructans on IBS symptoms, all foods containing fructans were characterized as high-FODMAP foods and were to be avoided during the initial phase of the diet. This included all products made with wheat, (as well as many vegetables such as garlic and onions). People following the diet were encouraged to consume gluten-free versions of favorite foods. This did not mean that people with IBS should never eat wheat again. The design of the diet is such that once a person had completed the initial elimination phase (typically two to six weeks), the recommendation is thus to slowly re-introduce each FODMAP type, including fructans, back into the diet to assess for one's ability to tolerate the food without experiencing symptoms. The ultimate goal of the diet is for a person to eat as wide a variety of foods as one can while still enjoying quiet digestion. The Monash University low-FODMAP researchers are continually testing foods for their FODMAP content. The best way to stay on top of these updates is to download their Low-FODMAP Diet App to your mobile device. Certainly the ability to eat a slice of bread or to enjoy a small amount of pasta will make the diet much more convenient. You will now have more choices as to what you can eat at social gatherings or when needing a meal on the run. If you have been avoiding trying this effective dietary treatment because of a fear that you will not be able to handle all of the restrictions of the diet, this new finding may be just what you need to give the diet a go. First off, when it comes to FODMAPs, individual tolerances can vary widely. Therefore, just because the lab says a food is tolerable doesn't mean that your body is going to agree. Only through trial and error can you assess your body's tolerance for a particular food. Next, there is still the issue of the gluten in wheat. Non-celiac gluten intolerance has been associated with both gastrointestinal symptoms (including IBS), as well as chronic symptoms affecting other parts of the body. So while you may be able to tolerate the lower levels of fructans found in the above foods, your body may still be having a negative reaction to the gluten found in these foods. Last, eating foods made with refined wheat, such as bread and pasta, may now be okay for your stomach issues, but they have been associated with increased rates of cardiovascular disease, diabetes, and obesity. As you can see, the decision as to whether to eat wheat while on the low-FODMAP diet or at all is a personal one. You will best serve your digestive and overall health by listening to your body, staying informed as to the effects of wheat on health, and observing moderation. Biesiekierski< J., et.al. "No Effects of Gluten in Patients With Self-Reported Non-Celiac Gluten Sensitivity After Dietary Reduction of Fermentable, Poorly Absorbed, Short-Chain Carbohydrates" Gastroenterology 2013 145:320–328.